Björk recently released the new video for “The Gate,” her first new single in two years. 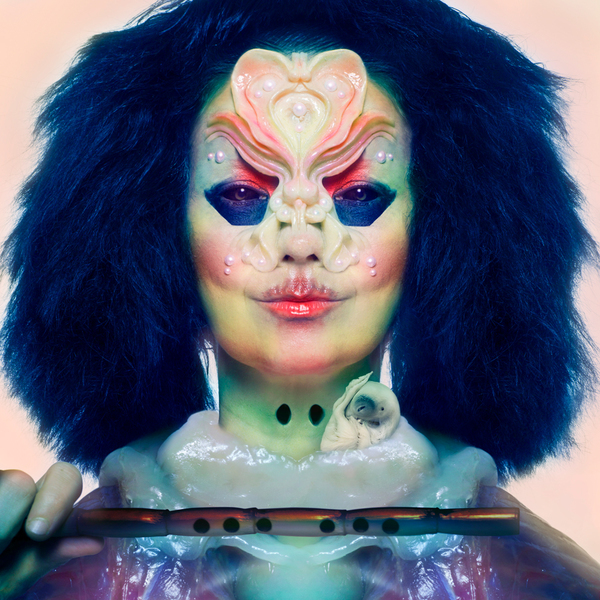 And now the full details of her new album, Utopia, have been revealed. Utopia will be released on November 24, and features co-writing and production from Arca, as well as some production contributions from Rabit. All songs were written by Björk. The album features an Icelandic female flute orchestra and a choir. That’s the album’s artwork above, designed by Björk and Jesse Kanda. Björk has also made her album available to pre-order with the option to buy with cryptocurrency—Bitcoin (BTC), Audiocoin (ADC), Litecoin (LTC) and Dashcoin (DASH). Take a look at the album’s tracklist below. Read our Hall of Fame feature on Björk’s Homogenic.